Ahoy there! Thar be a picture-heavy post ahead- draw the sails! Weigh anchor! 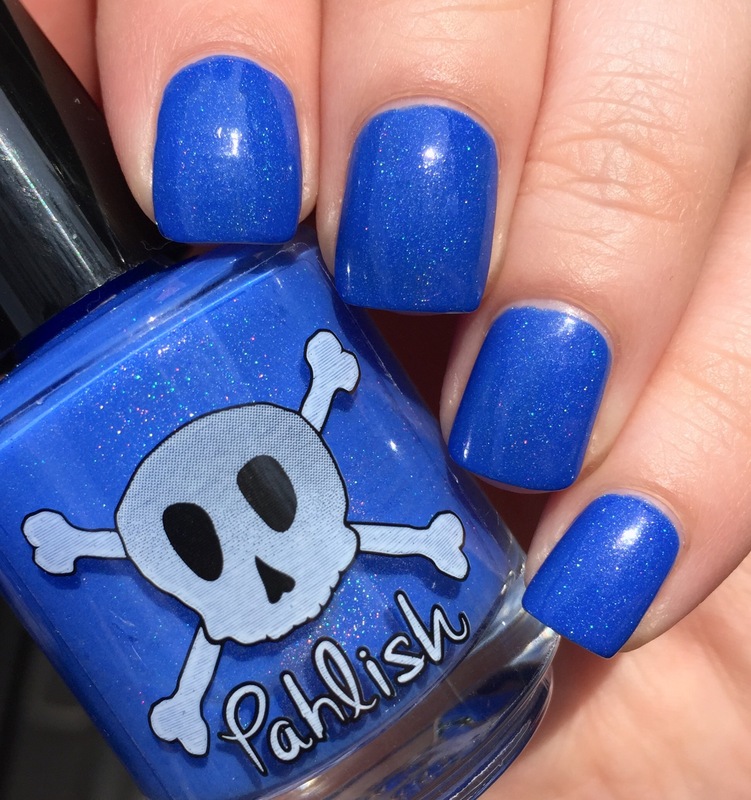 Okay, I’m being a wee bit silly (pirate-y) because I’m in love with this whole Buccaneers and Buried Treasure collection from Pahlish. I’m not alone, though: this polish, “Sailing the Hispaniola,” was so popular that another batch was just released. Avast! 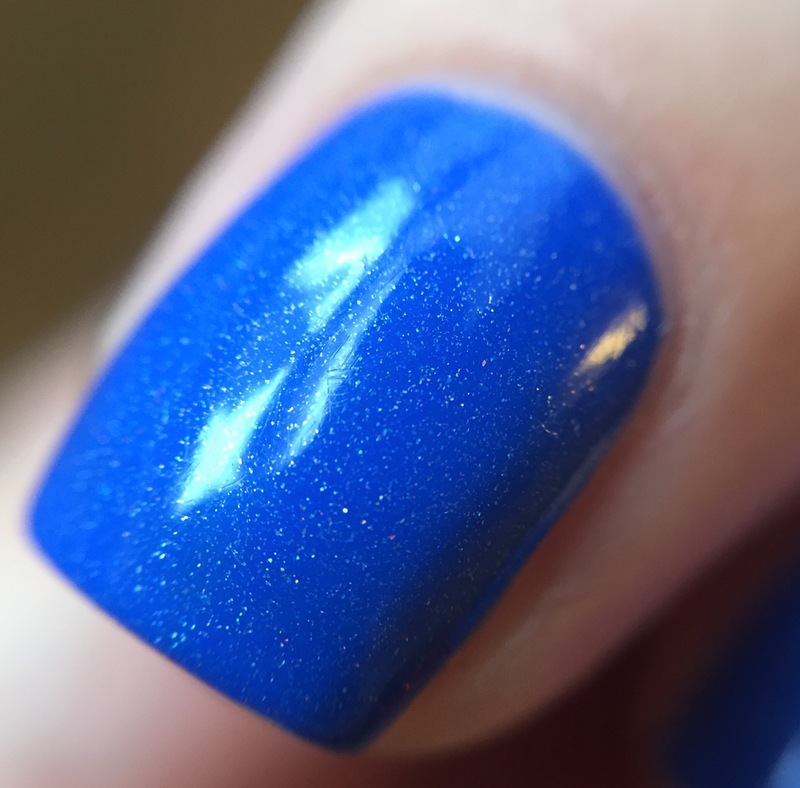 “Sailing the Hispaniola” is a bright blue with a soft scattered holo. The formula on this is perfection. It goes on easy: perfect viscosity, self-leveling, zero flooding of the cuticles. It even removed like a dream. It only took one cotton round and there wasn’t even the slightest hint of staining. I am such a fan of Pahlish’s blues. In the sun, the soft holo really shines through, and the polish has a warmer (slight more purple) feel. If I was a pirate, I would make this my signature color and sail the seven seas in holographic blue (because pirates do what they want). 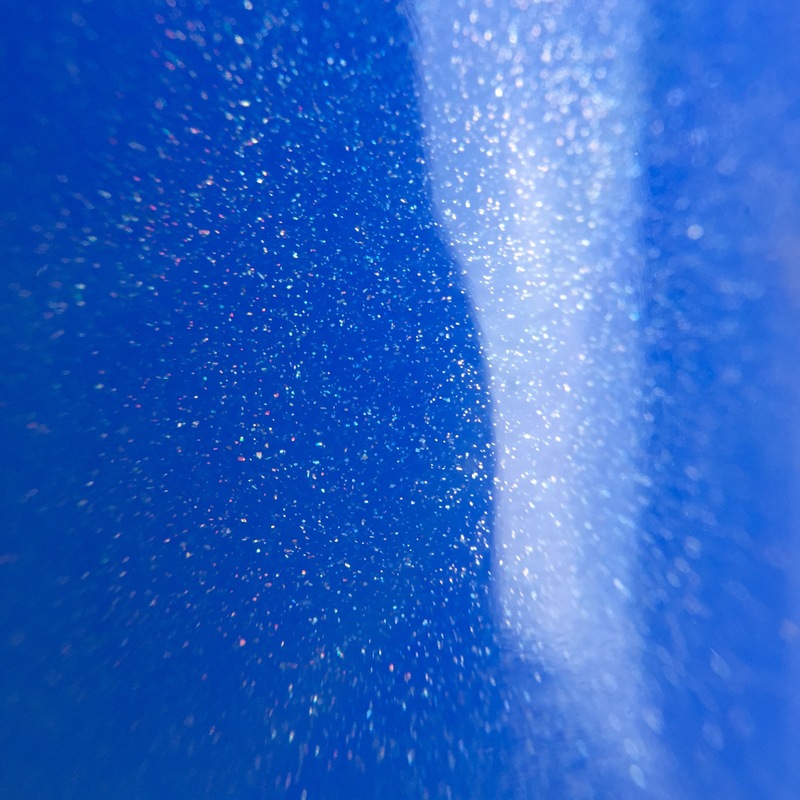 In the shade, the scattered holo ends up looking like tiny sparkles (like in the early evening, when the stars start to come out). Either way, it is truly a beautiful polish. Naturally, I thought that this might be a great opportunity to use my brand new macro lens. Shiver your timbers and chance a look down below! You can snap up (pillage, plunder, or even hijack?) this polish on the Pahlish website. Hurry, while they’re still in stock! For a bright blue like this not to stain is so rare! Definitely very impressive. I’ll have to add this one to the ever growing wishlist. It’s on sale right now for only $8! I keep snapping up all the re-releases that Pahlish is putting on her website. yeah, pirates are cool in my house. I like this color though. Right?! Perfect opacity, perfect formula. Love the shimmer in this! Gorgeous! I’ve been attracted to blue polishes recently, and I adore this one! Gorgeous! No staining! That’s practically unheard of with a blue like this. Just one more reason for me to add more Pahlish to my collection.